A recent survey by office furniture retailer, Steelcase, concluded that only 11% of office workers are ‘highly satisfied’ with their work environment. This disengagement in employees is costing the economy billions! 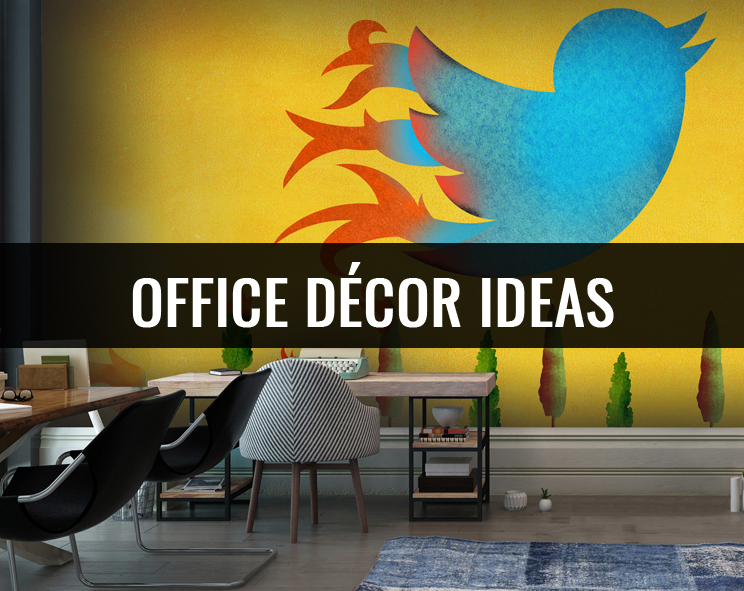 Office décor has recently evolved and dull offices are becoming a thing of the past. Companies like Google are leading the way and transforming their corporate offices into working wonderlands. They’ve spent billions of dollars installing swimming pools, climbing walls and football fields into their office spaces. Improving the workspace can have dramatic effects on staff productivity and ensure your employees don’t fall within the 89% of unsatisfied workers. However, you don’t have to go to the great lengths like Google to improve your work environment. 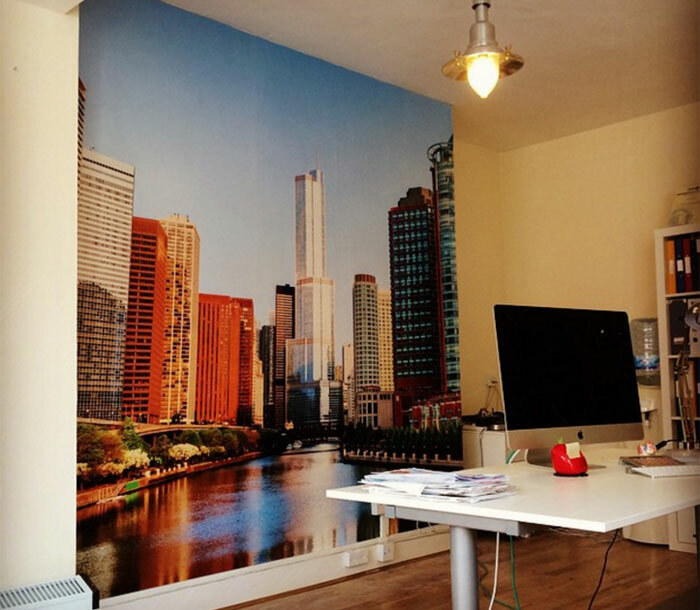 Our cityscape murals are amongst some of our most demanded designs for office décor. Not only can they offer the illusion of daylight and brighten the workplace, they can inspire and quite literally make you feel on top of the world! Let’s focus on the Millennials for a moment. They are the generation taking over the majority of our office employees after all! According to Forbes, Millennial’s don’t hold down their work contracts like the older generations. They suggest that they’re committed to their job for around two years, unlike Generation X (those born between 1960 and 1980) who hold their job down for around five years and Baby Boomers, seven years. Millennials see their job as more than a paycheck – they’re searching for that work-life balance and a job that’s an experience. So, how do you decorate an office to suit them? 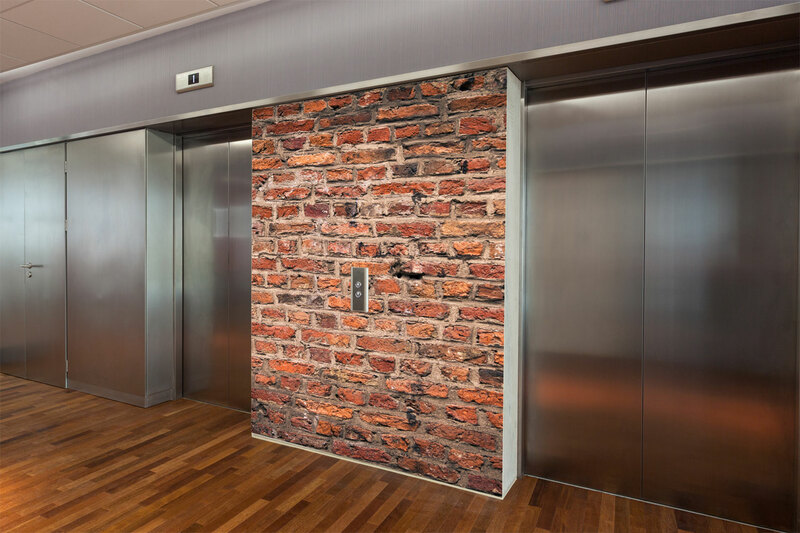 Bricks are on trend and great for offices in urban areas. We’ve a whole stack (pun intended) of brick murals in various colours to suit existing décor. Another suggestion to keep the office décor young would be to add an abstract pattern. Our collection by Twisted Pixels Illustration offers some really out-there designs to more mellow, decorative patterns that will add colour and dimension to your workspace. Woodland murals are another popular request for commercial spaces. 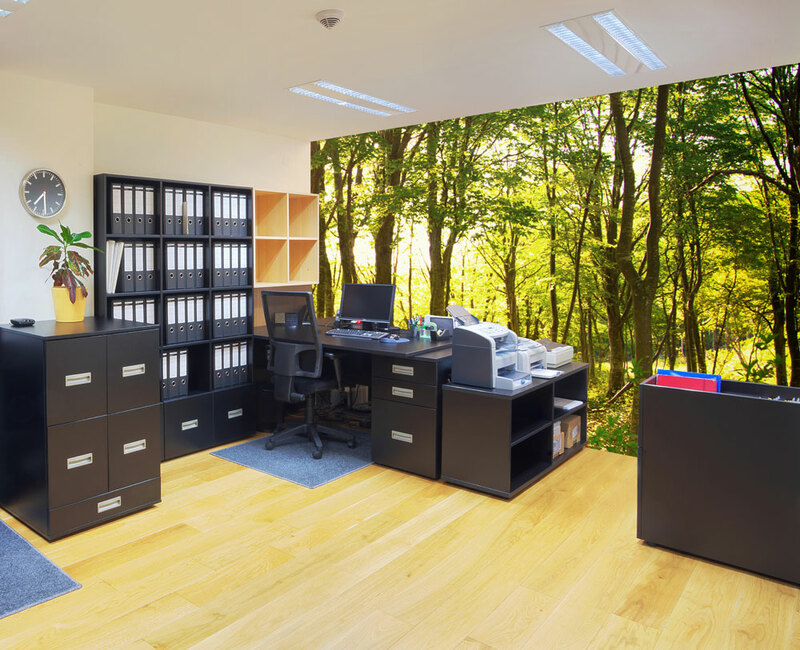 They can bring the outdoors inside and add a sense of depth and space to the office. Not only do we have a wealth of murals to liven up dull office décor, we also have many themed murals that could suit your business. 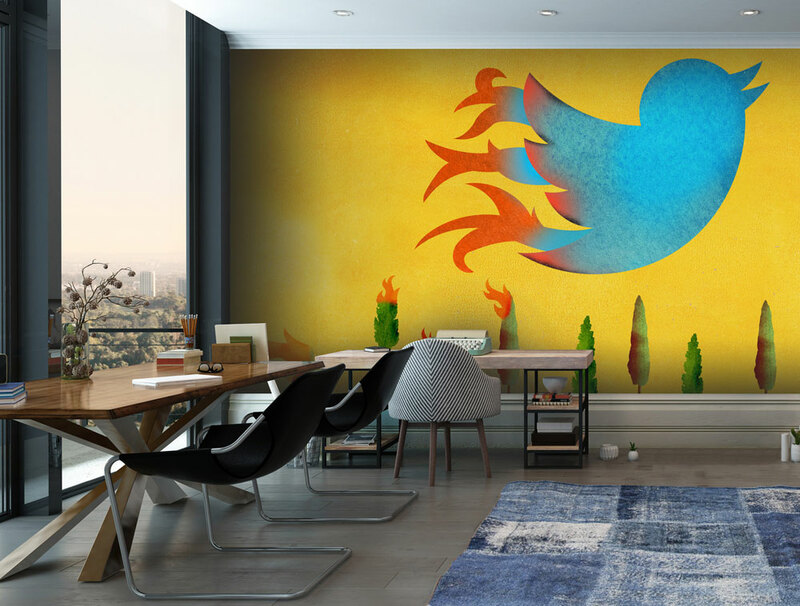 From coffee beans to musical instruments, just search your preferred image and if you can’t find what you’re looking for, upload your own image and turn into a wall covering! Wow! Some great ideas here.